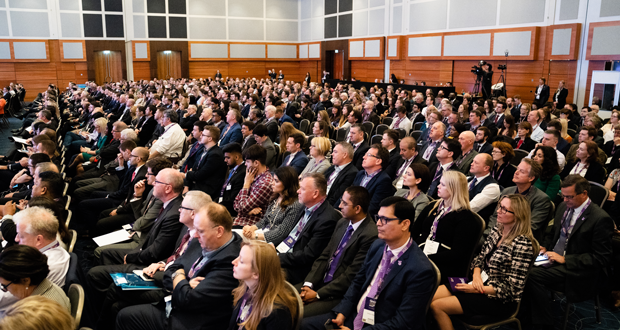 Back with a renewed focus on the evolution of the $1 trillion global FM profession in an increasingly digitalised world, the RICS Strategic Facility Management Conference returns to London on 27 June. Under the title of FM: A Risky Business? the event, held in partnership with IFMA, will seek to achieve consensus on best practice approaches to identifying and mitigating risk in the wake of recent, high-profile developments in the sector. The UK’s ongoing negotiations to leave the EU, advances in smart technology, and questions around ‘outsourcing’ models of service following corporate collapse – have all influenced this year’s agenda. Key sessions are set to cover procurement and accounting practices, as well as financial, cyber and reputational risk management. Plus, Danny Lemon, General Manager of The Shard, will provide insight on the rewarding task of managing the UK’s tallest building. The conference also brings together some of the industry’s most respected practitioners and high-value clients for a CEO roundtable to discuss the future direction and vision for the FM profession in the 21st century. Those joining the panel include Chris Kenneally, Group Chief Executive Officer of Cordant Group, Ross Abate, Group MD at Mace Macro and Ian Townsend, Group Director of Facilities Management at Capita Corporate Real Estate. “Recent developments in the built environment sector have underlined the importance of embedding exemplary standards and practices in our profession,” explains Rory Murphy, conference chair and Commercial Director at VINCI Facilities.